Eine Bereicherung für alle, die analoge Drumbeats mögen! Fusion Festival 2016 wurde ich von einem besonderen Live-Act überrascht! Dub, Dub-Tech der besonderen Art (leider hatte ich keine Videokamera dabei). Ein mechanischer Sequenzer der live gespielt, verschiedenste percussion Intrumente, Synth-Trigger, bis zum Korg Kaoss Pad ansteuert. Unglaublich! Es folgen einige Videos von Bam Bam aus dem Netz – es war für mich einer der genialsten Acts auf der Fusion! 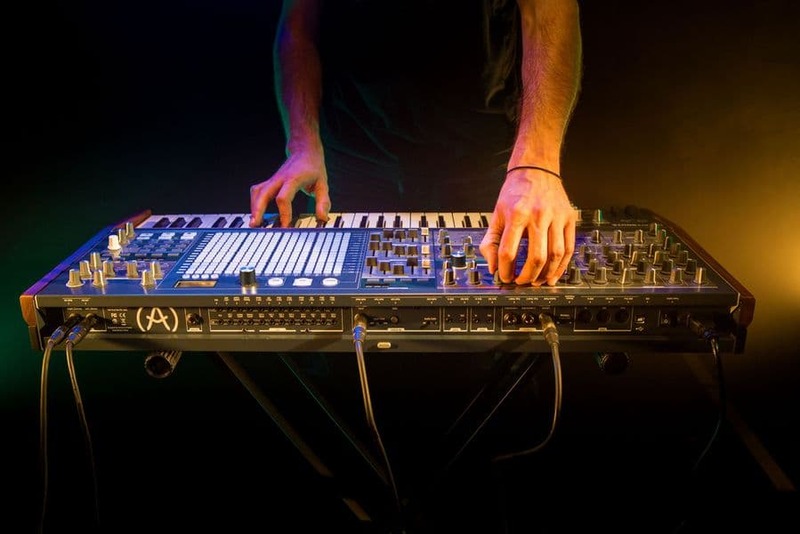 Behringer DeepMind 12 – der neue 12 stimmige analog Synthesizer ! Es dauert wohl nicht mehr lange – Behringer bringt einen 12 stimmigen Analogsynthsizer auf den Markt. Der Preis bleibt die große Überraschung! Radikal Technologies bietet seit 2015 die ersten Eurorack Modular kompatiblen Module an. Der erste Baustein dieser Reihe ist das RT451 Multimode Filter. Der Sound diese Filters spricht seine eigene Sprache- unglaublich warm, fett und schön! Kaum ist der neue DSI / Tom Oberheim OB6 auf dem Markt da gibt es die ersten Youtube Videos. Diese Ambientvideo live gespielt, mit einem Pigtrnix Infinity Looper aufgenommen, zeigt nicht nur den wunderbaren Sound vom OB 6, sondern auch die hervorragende Qualität des infinity Loopers! Ich besitze ihn ebenfalls- gekauft auf der Suche nach einem Looper der 100% slave zur Midiclock läuft. Und das macht er! Make Noise Zero – Coast Synthesizer – Namm 2016 NEWS – der besondere Synth! Ganz neu vorgestellt wurde auch der Make Noise 0-Coast Synthesizer. Ein ungewöhnlicher Aufbau lässt hellhörig werden! Er wird ca. 500Euro kosten (ca.in 3 Monaten erhältlich). Hier geht es zur Hersteller Seite (es öffnet sich ein neues Browserfenster). 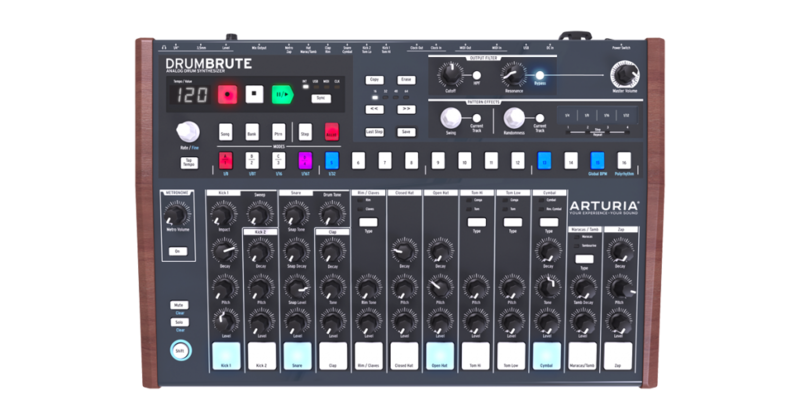 Der neue MatrixBrute analog Synthesizer von Arturia ! Von den vielen Namm 2016 Neuheiten ist der MatrixBrute eines der Geräte, welches wohl jeden Synthesizerliebhaber interessieren wird. Ein Analogsynthesizer der Superlative! Preis? Voraussichtlich unter 2000 Euro! Three Analog Oscillators: Sawtooth, Pulse, Triangle, waves with the unique waveshapers that have become the trademark of the ‚Brute‘ sound. There is also a sub-oscillator on each of the two Brute oscillators. Combination VCO/LFO oscillator: The third Osciallator can be used for both audio signals and LFO modulation at the same time. You do not have to choose either operation here so you can always have that big 3 oscillator sound. Noise Generator: Noise generator with White, Pink, Red and Blue noise types. The most versatile on the market. Audio Mod: The AUDIO MOD section allows for complex oscillator and filter FM possibilities bringing whole new tonalities to your sound. Performance Controls: Pitch bend and mod wheels and 4 Macro encoders which can be assigned to any of the modulation destinations for instant hands on performance playing. Voice Modes: Multiple keyboard modes for mono, paraphonic and duo-split modes. Split oscialltors for paraphonic mode or use the duo split mode to play a sequence while playing notes over the top of it. Three LFO’s: Two standalone LFO’s with 7 waveforms and trigger modes allow for complex modulations. The combination VCO/LFO adds a 3rd LFO in the system. Mixer: Mix and blend Oscillators 1, 2, 3, as well as the noise generator and EXTERNAL input sources. Route each mixer input to the filter of your choice using the FILTER assign buttons. Steiner-Parker filter: We have upgraded our Steiner Parker filter to support both 12db per octave and 24db per octave slopes as well as a DRIVE control for making thicker sounds. The 4 modes, Low pass, band pass, high pass, and notch allow for a vast array of sound making possibilites. Ladder Filter: We have included a traditional beefy Ladder filter with both 12db and 24db per octave slopes as well as Low Pass, High Pass & Band Pass modes and a Drive control. This filter design is known for making punchy bass and thick lead sounds. Filter routing: The two filters can be patched in series or in parallel configurations. 3 Envelope Generators: The two ADSR envelopes and the 3rd DADSR envelope give you plenty of sound sculpting tools. 256 Memory locations: Store and recall your favorite sounds at the touch of a button. You can organize, save and load new banks of sounds using the free MIDI Control Center editor application. We deliver MatrixBrute with 128 factory presets. The Matrix: The matrix is the heart of Matrixbrute. It allows for complex modulation routing, step-sequencing and instant preset recall. Modulation Routing: You can assign any of 16 modulation sources to any of 16 mod destinations. 4 destinations are user programmable and can be seen in the e-ink display. Set amounts of each modulation routing using the data encoder. Step Sequencer: The matrix can be used as a 64 step sequencer with separate STEP, ACCENT, SLIDE and MODULATION steps. Preset Recall: In Preset mode the matrix allows you to recall any of 256 presets at the touch of a button. True Analog Effects. To enhance your sonic pleasure we have added an analog and Delay/ Chorus/ Flanger to the output. Choose from any of 5 operation modes. And YES! the controls in the analog effects can be set as modulation destinations in the Matrix. Sequencer/Arpeggiator controls: The sequencer and arpeggiator add to the playability of the Matrixbrute. Multiple modes of both the seq and arp allow for unlimited musical ideas to be realized. Keyboard: The 49 note keyboard features both velocity and aftertouch for a musical feel with plenty of expression. Master Audio Outputs: Stereo ¼” jacks for your master audio outputs. Control Voltage Interfacing: 12 CV Inputs and 12 CV Outputs allow the Matrixbrute to interface with your standard 1V per octave modular synth gear. Audio Input: Line and instrument levels allow for adding an external oscillator from your favorite modular synth or processing a guitar or bass through the filters, VCA and analog effects. Gate I/O: The Gate inputs and outputs allow you to trigger external gear or trigger the internal envelopes remotely. Sync in and out: This allows you to synchronize the MatrixBrute’s sequencer and arpeggiator with external devices. Pedal Inputs: Experssion and Sustain pedal inputs give you real-time control to expand on your expressive capabilities control. MIDI Interfacing: Standard MIDI in, out and thru will connect you to both modern and vintage gear alike. USB: USB I/O allows you to interface to a computer DAW directly. This is also the link to use our free editor/librarian software provided for the MatrixBrute. Du hast einen Synthesizer mit CV Eingang oder analoge Effekt-Hardware und möchtest diese von deiner Digital Audio Workstation ansteuern? Oder CV vom Synthesizer deiner DAW zuführen, um sie aufzuzeichnen oder zu bearbeiten?